Motion backgrounds are suitable to be used to spice up your videos and draw attention to them. Thinking of using a static frame (slide) for the opening of your video? Hold on. Why not try an intro with background video effects? Have a large amount of text to display in your video? Animate the text to hold the viewer’s attention via kinetic text animation. Don’t have the resources to do that? Then use an eye-catching motion background with static text to maintain attention. That said, here are some free motion video backgrounds you could use for your next video project, if you’re not yet ready to fork out cash for them. Over at Videvo you could find not only free motion video backgrounds, but also stock videos, music tracks and even sound effects. You can browse clips by popular or most recent. 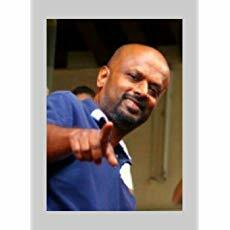 Categories such as animals, business and office, nature, people and sports are available, among others. Other resolutions available are 720p which will be suitable for YouTube, UHD and 4K. Here’s a shortcut to view only free HD video backgrounds in 1080p. While browsing, tick the ‘Only Show Free Clips’ option. Only free background video effects will be shown. Otherwise, your search results will return premium and free clips. The free motion video backgrounds are provided by videvo and by contributors. Currently, you’re allowed unlimited downloads and don’t have to register for an account to download. If you register for an account, you can track your download and create a profile to upload your own videos. Check out the free background effects at videvo Videvo. Videezy provides free video clips for personal and commercial use. Clips are suitable to be used for television playback or broadcast. If you’re using the clips over the web, attribution must be provided. An HTML attribution code will be provided for you to paste it over the web page. You can search by stock video or background video. This can be drilled down to loops and animated. Video resolution available range from SD video, 720p, 1080p, 4K and UHD. Categories include travel, urban, aerial, art and nature. You may even grab slow motion videos if that suits your project. Check out the the 1080p HD video background free downloads. There’s a rather limited collection of free motion background videos over at IgniteMotion. However, if you’re looking for videos related to clouds, water, nature, retro and people, among others, this site is worth checking out. Expect no more than 15 to 20 clips per category. The good thing about IgniteMotion is all clips can be downloaded for free. Premium clips don’t get in the way like at the other sites. Clips can be downloaded in the MOV or MP4 formats. Although the website is called Motion Backgrounds for Free, it’s not entirely that. This site has a mixture of video stock footage from Storyblocks and free motion backgrounds. The Storyblocks clips are paid versions, for which you would have to pay a monthly membership fee. There’s a catch though. 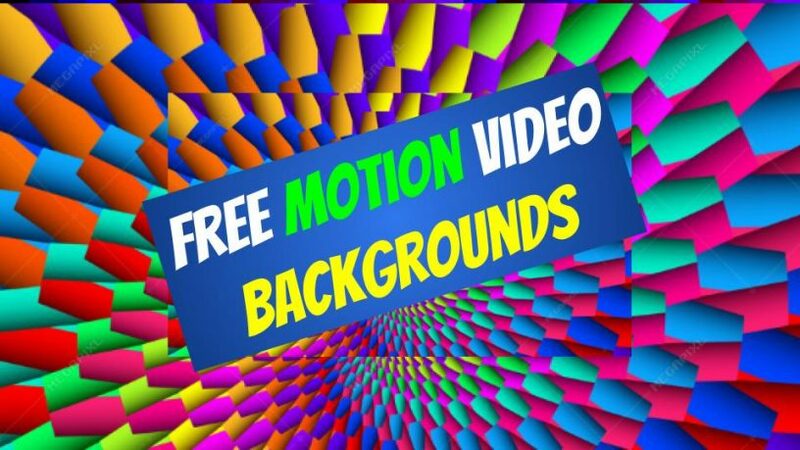 To download the free motion backgrounds offered by the site, you would have to register for a free account. Categories include flourishes, political, social media, technology and textures and patterns. Pixabay is well-known for offering free royalty-free images. It does the same,too, for motion video backgrounds. The standout feature of Pixabay’s free motion video background collection is they are free to be used for commercial purposes. No attribution is needed. Resolution is up to 4K and the download format is MP4. The good thing about Pixabay is you don’t have to register for an account to download the free motion video background clips. When you search for a particular free motion video background, the search results could return clips from shutterstock. However, most of the results are free motion video backgrounds from Pixabay. 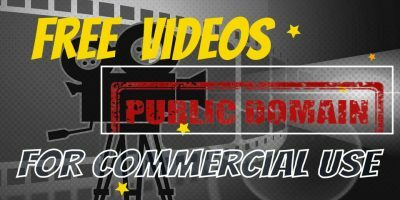 This free stock image and video site offers free motion video backgrounds under the Creative Commons Zero Licence (CC0). Under this licence, you are allowed free use of photos and videos for personal and commercial purposes. Free motion backgrounds are available in the following categories – abstract art, acrylic and so on. There are restrictions though, which you could do well to stay away from. You aren’t allowed to put the people who appear in the visuals in a bad light or in an offensive manner. You’re also not allowed to sell the stock images and videos unaltered. You may do so, however, if you add value to it. Check out the free motion video backgrounds at Pexels. This is one site that’s dedicated to motion backgrounds. They have a free section among their premium motion background collection. At the time of writing they have over 70 free motion backgrounds to be downloaded and used for your projects. Though limited, you may well find the free motion video background that suits your project. One annoying drawback is some of the motion backgrounds need you to enter your email before you could download them free via PayLoadz. Upon doing it, a download link would be sent to your email. But then If you really find a quality motion background from this site, you wouldn’t mind doing so, would you? Head over to Motionbolt to check out the free background video effects. Heading over to Motion Loops you would have to click on Free Stuff on the main menu to go straight to the free motion video backgrounds section. You’ll be greeted with a collection of motion backgrounds, classy ones which you could use for your video projects. You, however, can’t go ahead and download them yet. You would have to register for an account first. If you would like to download these free motion video backgrounds, you would have to log in to do so. If the samples in the Free Stuff fascinates you, you should go ahead and register for an account to download them. This is an unassuming site that provides not only free motion video backgrounds, but also other freebies like stock photos, wenb icons, web templates and even stock animations. Talking about motion video backgrounds, you could take your pick from abstract animation, tunnel animation, shifting glass effect and tennis ball spin among others. You could preview the free motion backgrounds via YouTube. Then after downloading them via givemefreeart.com you could donate if you’ve found the freebies offered of value to your project. Feel free to check out these free motion video backgrounds and pick the background video effects that suit your video project. Almost all of them provide HD video backgrounds with 1080p quality for free download.